The apex court had earlier expressed shock that welfare schemes were not being effectively implemented even after spending thousands of crore on them. 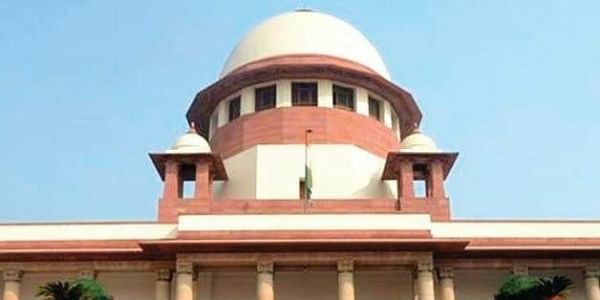 NEW DELHI: The Supreme Court today directed the states of Uttar Pradesh, Haryana and West Bengal to place before it a roadmap on implementation of a scheme for urban homeless, saying it was the government's "obligation" to help these poor people. The top court perused the affidavits filed by the three states on the implementation of the National Urban Livelihood Mission (NULM) scheme and observed that they had not given a roadmap or a vision document on the issue. "It is the obligation of all the state governments to help these poor people. It is not an adverserial litigation," a bench of Justices Madan B Lokur and Deepak Gupta said after going through the affidavit filed by Haryana government. Additional Solicitor General Tushar Mehta, representing Haryana, told the bench about the steps taken by the state in this regard and said they would place before the court a roadmap in two weeks. During the hearing, the bench also questioned the Uttar Pradesh government as to why occupancy in shelter homes for urban homeless in the state was only around 25 per cent, while terming it "startling". "As a state government, it is your obligation to look after people of your state. You cannot say that NGOs should do it. It is your duty," the bench told the counsel appearing for Uttar Pradesh, adding "if you have constructed shelter homes and they are vacant, then it is counter productive". The counsel for West Bengal referred to their affidavit which contained details of the shelter homes in the state. Senior lawyer Colin Gonsalves and advocate Prashant Bhushan, representing the petitioners, referred to the report of the apex court-appointed committee headed by former Delhi High Court judge Justice Kailash Gambhir and said the number of shelter homes in these states were much less than what was required. Bhushan said that in Uttar Pradesh, there were around 1.8 lakh urban homeless while the arrangements of shelter homes in the state was only for around 4,000 people. Regarding occupancy of around only 25 per cent in such shelter homes in Uttar Pradesh, Gonsalves said the state should advertise about their shelter homes so that the people are made aware. During the proceedings, Haryana Chief Secretary who was earlier asked by the apex court to appear before it today, was present in the court and he assured the bench that the state was committed to effectively implement the scheme. Mehta told the bench that 93 shelter homes were existing in Haryana as on date having facilities of night stay and food for the urban homeless. The bench questioned Mehta on how Haryana government was spending Rs 400 lakh for refurbishing the shelter homes, including those run by the NGOs. "Haryana is capable of doing it but you are not doing it. It is an unfortunate part," the bench said, adding though the state was on the stage of collection of data, it should come out with a plan on how to effectively implement the scheme. It also said the authorities could take the help of NGOs and civil societies in this. At the fag end of the hearing, the Centre told the bench that they have started special audit of funds under the scheme with respect to these three states. The court is first dealing with the status of three states -- Haryana, West Bengal and Uttar Pradesh -- among 11 and two Union Territories which have been highlighted by the apex court-appointed committee to oversee implementation of NULM across the country.